Women’s golf ended the fall portion of their 2018-19 season ranked No. 28 in the nation. U of L posted top-10 finishes in five tournaments, including wins over No. 11 Auburn and No. 24 Oklahoma. Lauren Hartlage guided the team with a 72.57 stroke average and three top-10 finishes. The junior has earned All-ACC honors for the past two seasons. The Cardinals return two other upperclassmen: Senior Olivia Cason and junior Delaney Shah. 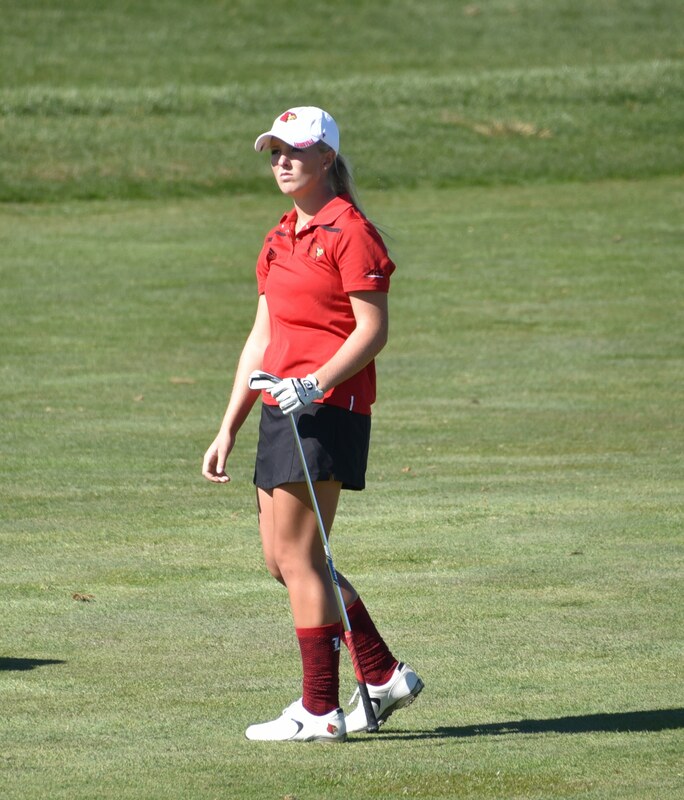 Mairead Martin recorded a 73.57 stroke average and finished tied for sixth at the Cardinal Cup. Fellow first-year Lauren Thibodeau shot four rounds of even- or below- par during the fall. Both freshmen have bright futures ahead. Last season, Louisville set school records at the NCAA San Francisco Regional and sealed the program’s historic run with a 15th place showing at the 2018 NCAA Championships. The team returns in February when they travel to Melbourne, Florida for the Moon Golf Invitational.